Leonardo will invest $65 million into building a new Training Academy for new pilots by 2020 at its site at 3050 Red Lion Road. Flying high: Leonardo Helicopters is creating a new Training Academy to train pilots at its campus at 3050 Red Lion Road. Helicopter manufacturer Leonardo Helicopters announced it will invest $65 million to create a new Training Academy to train pilots at its campus at 3050 Red Lion Road. The site, which is expected to be completed by 2020, will provide training for pilots, cabin crew and maintenance technicians. It will train about 2,000 pilots and mechanics each year, according to Leonardo CEO William Hunt. Leonardo has trained over 10,000 students worldwide as of 2018. The academy will meet increasing demand for training as helicopter fleets grow in North and Latin America. The academy, which will be about 60,000 square feet, will be similar to Leonardo’s campus in Sesto Calende, Italy. It will include classrooms, customer lounges, aircraft maintenance training bays, virtual-enhanced training devices and flight simulators. “In addition to training commercial pilots to fly Leonardo aircraft, the new Training Academy will also support the initial training of Boeing and U.S. Air Force pilots, Special Mission Aviators and maintainers for the MH-139 helicopter program,” Hunt said. The announcement was made at the Heli-Expo 2019 in Atlanta. Leonardo also announced its intention to add 160 jobs in the Philadelphia market this year, a staff increase of nearly 30 percent, Hunt said. 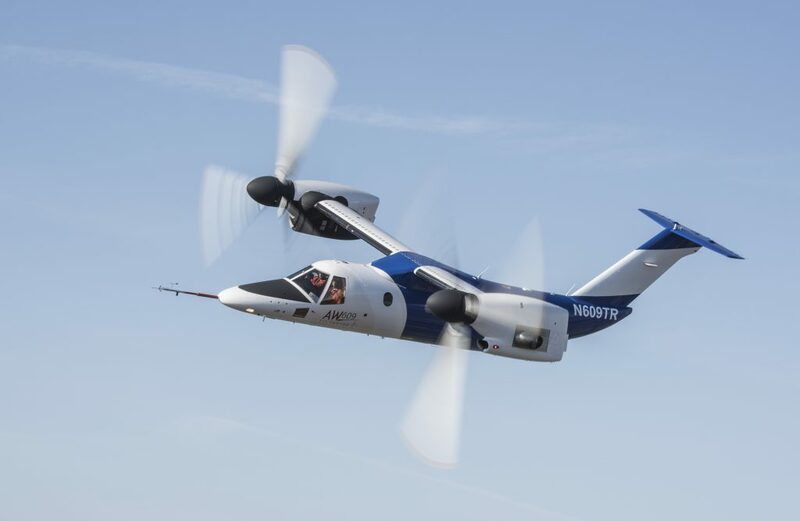 In addition, Leonardo’s AW609, the world’s “first civil” tiltrotor, is approaching FAA certification. A tiltrotor is an aircraft that lifts itself with powerful rotors at the ends of fixed wings. “Because it flies twice as fast and twice as far as a typical helicopter, in many ways we see it as the future of flight,” Hunt said. Last December, the company successfully completed the first flight test of its new TH-119 helicopter model, which it is bidding to be the official undergraduate training model in the U.S. Navy.